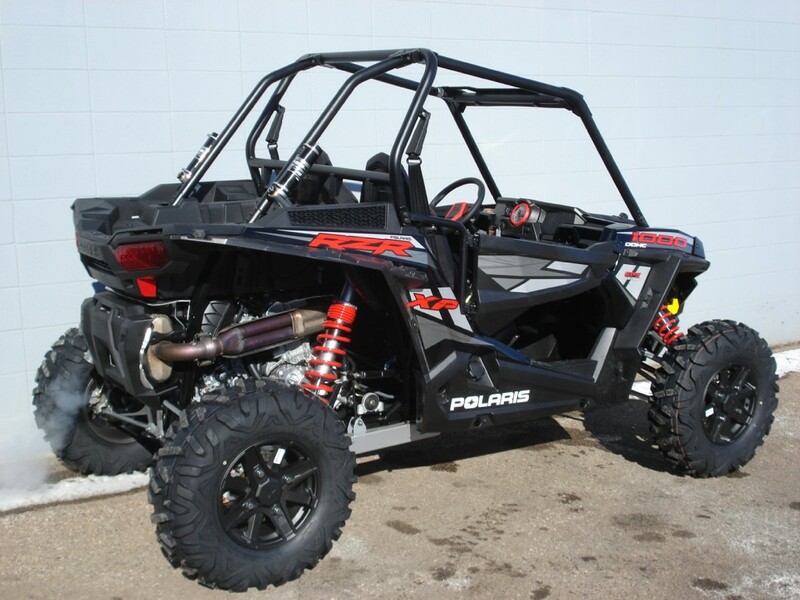 The Polaris RZR XP 1000 took the UTV world by storm last year with its complete re-design, in dash GPS, and 107HP ProStar powerplant. Unfortunately like most UTVs, the XP 1000 suffers from a woeful absence of adequate storage space. The following are a few of the best storage options for the XP 1000s bed to help you store a little extra gear for those long rides. Polaris’ lock and ride storage system is just one of many features that keeps the company out front in the UTV industry. Their Polaris Lock & Ride Storage Box uses durable poly construction to add an additional 2.5 cubic feet of dry and dust proof storage for your extra gear. The lock & ride compatability makes for simple installation into existing seat locations. This box actually replaces one or more seats and uses their mounting points to secure this storage box in place. SuperATV is always ahead of the industry in filling needs that arise with new models. Their XP 1000 rear cargo box for the Polaris RZR XP 1000 is an easy to install storage box that allows you to secure and store your gear in the bed of the RZR. It comes complete with 4 latch and go mounts complete with rubber gaskets to keep dirt and moisture out. This cargo box makes a convenient storage solution for trail gear and includes everything you need to install and use within minutes. A more recent name in the Polaris RZR accessories world, Ryfab engineering has designed a rear cargo box for the XP 1000 constructed with aluminum tread bright. This custom innovative design is a simple way to keep your supplies and gear clean and dry. Every Ryfab Cargo Box is lightweight and easy to remove for cleaning. The boxes are shock equipped, making the box’s lid easy to open and close, and the lockable push button latch keeps your gear safe and secure. This spacious cargo box allows you to store every piece of riding gear and there is still plenty of room inside the box for a cooler, two helmets or two large fuel cans. For these and a dozen other storage options for your XP 1000, visit www.sbsparts.com.